Four wheel alignment is one of those Porsche maintenance jobs that many drivers regard as minor, but can actually make a major difference to how well your car handles and save you a small fortune on replacement N-rated tyres. At Revolution Porsche, we understand how easy it is to knock your wheels out of alignment by hitting a kerb or one of the potholes that litter the nation’s roads, and also how important it is to properly deal with the problem. We have invested in the right equipment, including a state-of-the-art John Bean Visualiner 3D Lite system and a Kinematic Toe Tool, to ensure we can offer the most accurate possible four wheel alignment service to our customers. The equipment and our expertise with Porsches means we can correctly set-up all models, including the notoriously difficult 993. Why is four wheel alignment so important? Hitting a pothole is a common cause of misalignment. The Porsche factory geometry settings are designed for optimum handling, ride quality and comfort, but unfortunately it does not take much to knock them out of alignment. 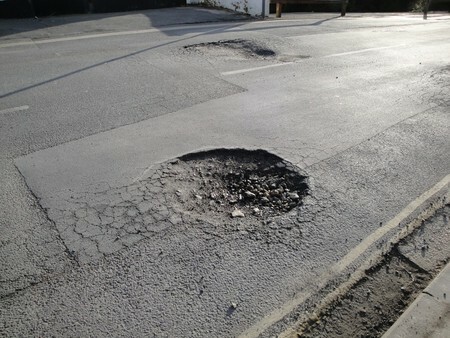 A close encounter with a kerb, taking a speed bump too fast, hitting a pothole or simply driving over an unmade or badly repaired road surface can cause alignment problems. 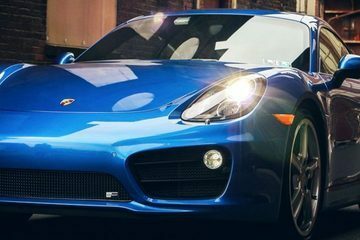 Once that happens, you are likely to experience a change to how your Porsche handles, with a strong pull to one side (particularly under braking) a common issue. You will almost certainly find that the tyres begin to wear unevenly and much more quickly, leading to an increase in fuel consumption, the expense of replacement rubber or a failed MoT. The only way to rectify these problems is to have a full four wheel alignment to return it to the proper factory settings. It is sensible to act before any of the handling or tyre wear issues surface and having a precautionary wheel alignment check after any minor collision or incident that jars the car is a good idea. Even if you are fortunate enough to avoid potholes for months on end, we would still recommend having your Porsche’s wheel alignment checked at least once every two years. What does four wheel alignment involve? In short, it is checking the angle of all four wheels and, if necessary, adjusting them to ensure that they match the precise Porsche factory settings. The key measures are ‘Toe’, ‘Camber’ and ‘Caster’, all of which vary between different makes and models of car. All of them need to be right to ensure your car handles properly. ‘Toe’ refers to how far a pair of wheels are turned in or out from a straight ahead position. You may well think that the wheels should point directly straight ahead, but a small inward or outward angle on the drive wheels is used in almost all cars to create straighter driving characteristics or to improve cornering. ‘Camber’ is the vertical tilt of the wheels, which makes a major difference to how a car handles during cornering. If the ‘Camber’ is out on one or more of the wheels, you will see tyres wearing excessively on one edge. ‘Caster’ is the angle of the steering pivot as seen from the side of the car and has a major effect on steering. If the ‘Caster’ is out it can cause the steering to become either light or too heavy. It is important that all these measurements match the recommended specification for the model, if you are to enjoy the best possible handling and the maximum safe tyre life. As getting the correct settings involves very precise measurements and, often, tiny adjustments, four wheel alignment requires specialist equipment featuring 3D imaging technology. Why choose Revolution Porsche for four wheel alignment? Revolution Porsche has a state-of-the-art four wheel alignment system. Wheel alignment services are available at any one of the range of chain tyre centres that seem to be in every town centre, but correctly setting up the suspension geometry of a Porsche or other performance car is not a standard job. Getting the alignment of a Porsche spot on is a difficult task and requires an in-depth knowledge of the cars. 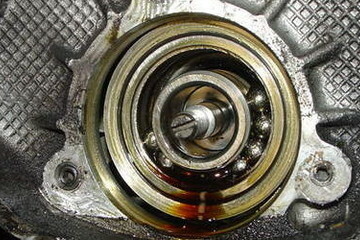 In many Porsche models, the parts that need to be adjusted to rectify ‘Toe’ or ‘Camber’ misalignment are not as easily accessible as in most cars, so marque-specific expertise is needed to get it right. At Revolution Porsche, we have plenty of that expertise and also have all the right equipment to do the job properly at our Brighouse workshop. 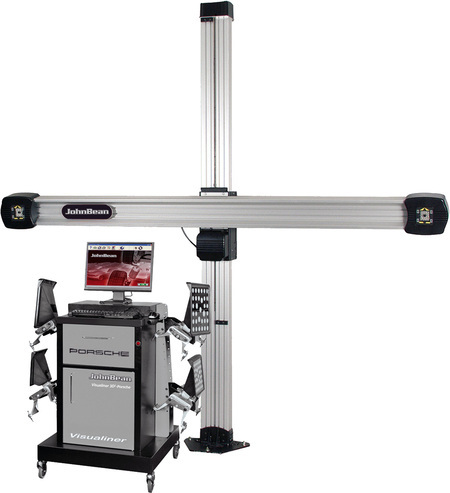 The John Bean Visualiner 3D Lite is one of the most accurate four wheel alignment systems available thanks to its patented 3D imaging technology and is compatible with wheels from 11” to 22”. We also have the tools required to make the precise adjustments needed to ensure the correct factory settings are achieved. These include a Kinematic Toe Tool, which is the only tool able to make adjustments to the rear wheel geometry of Porsche 993 models. Whatever type of Porsche you drive, if you are concerned about its handling or tyre wear, get in touch with Revolution Porsche to ask about four wheel alignment.